When will be Deadliest Catch: Captains' Legacy next episode air date? Is Deadliest Catch: Captains' Legacy renewed or cancelled? Where to countdown Deadliest Catch: Captains' Legacy air dates? Is Deadliest Catch: Captains' Legacy worth watching? The fleet arrives on the Opi Grounds and boats struggle with ice, big seas, and bad information to hunt down the crab. Captain Phil Harris loses his battle for life while the boats, unaware of the news, battle the biggest storm of the season. Tension runs high on the Northwestern; Edgar Hansen is fed up with the 22 year marathon of pain and confronts older brother Sig. 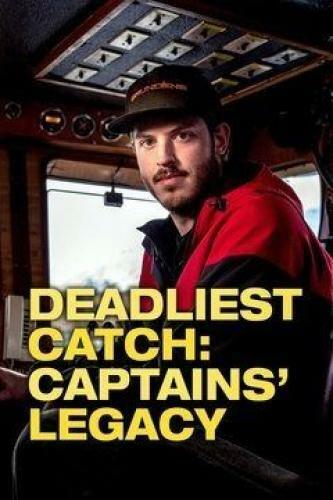 Deadliest Catch: Captains' Legacy next episode air date provides TVMaze for you. EpisoDate.com is your TV show guide to Countdown Deadliest Catch: Captains' Legacy Episode Air Dates and to stay in touch with Deadliest Catch: Captains' Legacy next episode Air Date and your others favorite TV Shows. Add the shows you like to a "Watchlist" and let the site take it from there.